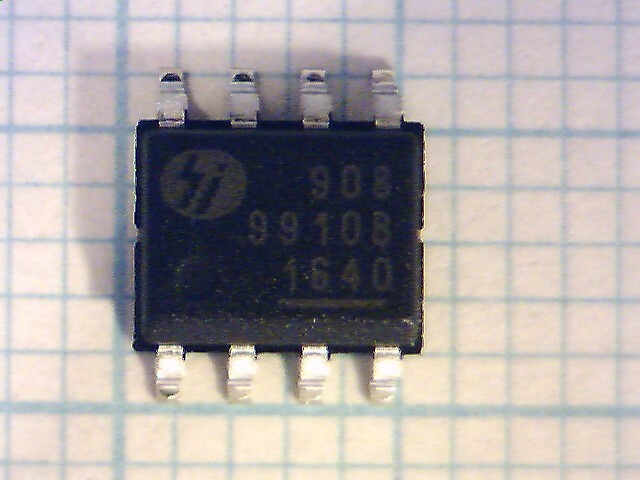 The HV9910B is an open loop, current mode, control LED driver IC. The HV9910B can be programmed to operate in either a constant frequency or constant off-time mode. It includes an 8.0 - 450V linear regulator which allows it to work from a wide range of input voltages without the need for an external low voltage supply. The HV9910B includes a PWM dimming input that can accept an external control signal with a duty ratio of 0 - 100% and a frequency of up to a few kilohertz. It also includes a 0 - 250mV linear dimming input which can be used for linear dimming of the LED current. Dit artikel is op zondag, 03 januari 2010 toegevoegd.